This story was originally written in 1929, titled "The Blue Flame of Vengeance", and featured Solomon Kane. REH failed to sell it, perhaps because it had no weird element, and hence WEIRD TALES would likely not take it. 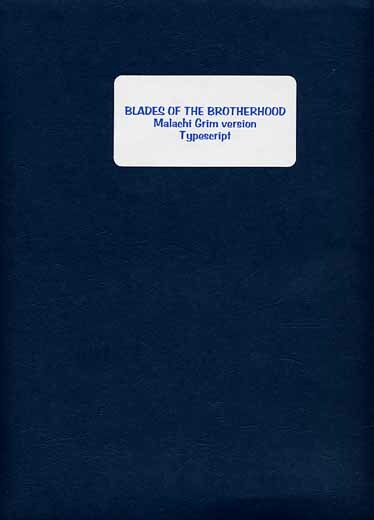 REH rewrote it in 1932, changing the hero to Malachi Grim, changing the title to "Blades of the Brotherhood", and shortening the story by a couple of pages. There is no record to show to which magazines this story was offered, if any. 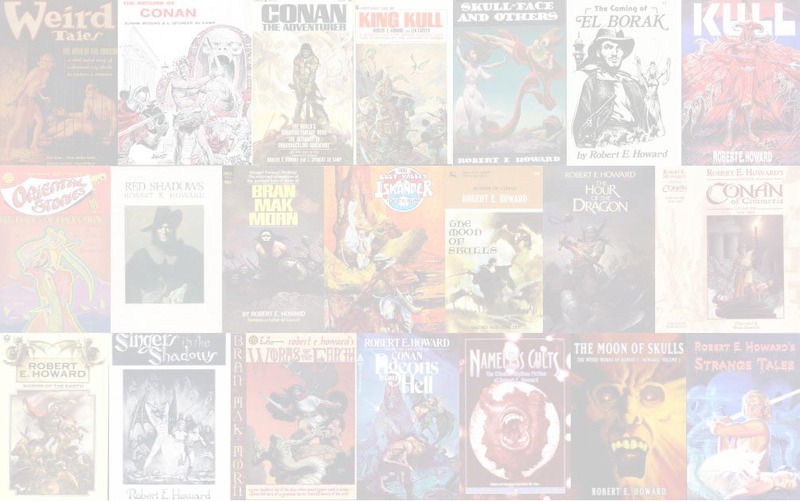 This typescript was provided to Legacy Circle members of the Robert E. Howard Foundation. It is a limited edition and all surplus copies will be destroyed at year’s end. Printed on ivory paper, with each page individually hand-initialed "REHF" in red ink.